It's Fall & we finally have a backyard to hang out in!! 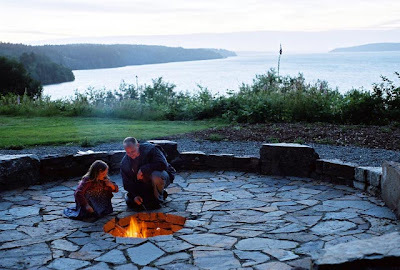 A couple of nights ago we decided to break out the firepit (given to us by our friends, Amy & Greg) and do S'Mores. It was just Dave & Christian (& of course Ashby!) 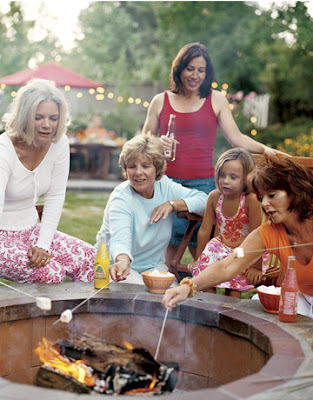 and me, but we had enough s'mores for 6+ people. 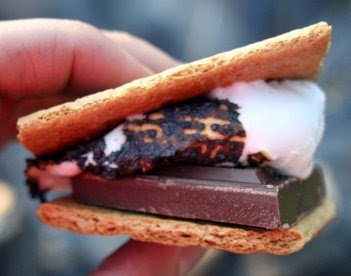 S'Mores are so good I can't even handle it!!! (image from here) This is only the second time Dave's EVER had them!!! And don't forget the key ingredients!!! 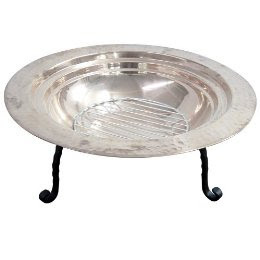 Hope you get to enjoy this simple pleasure!!! also- thanks so much for all the kind words/ encouragement about my house!! (previous post) You don't know how much it means to me!!! I love those kind of nights. 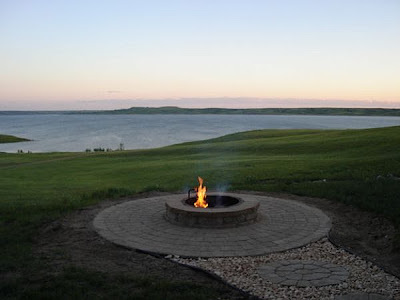 I look forward to the day where I have a backyard and a fire pit is a necessity!! 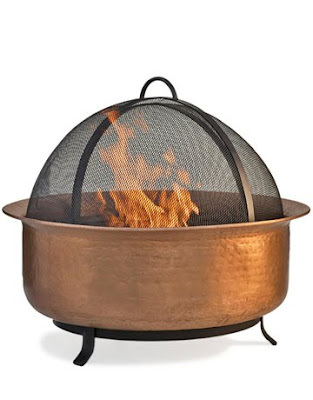 I've always wanted one of these so bad- the though of sitting in sweats on a brisk fall night around the fire is just perfect. 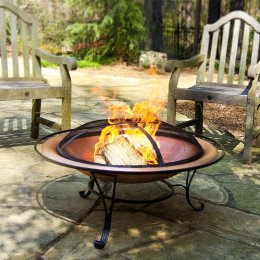 I would totally buy one but my neighbors might call the fire department on me if they saw me on the sidewalk with one of these things. 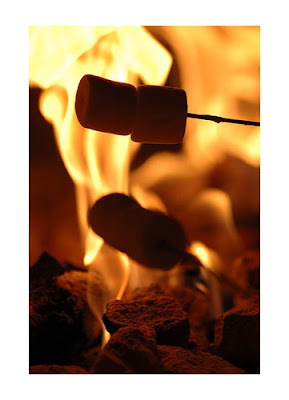 Ooo really craving smores right now! 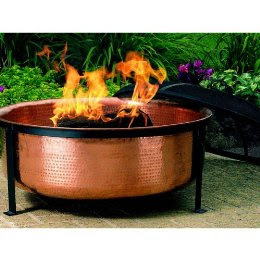 I want a built in fire pit so bad, but you've come up with some pretty great alternatives. That copper Smith + Hawken is gorge! 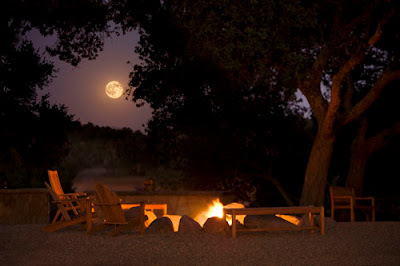 S'mores are delicious, I had never had or heard of them until I when to a wedding in Big Sur last year. After the reception and the sun went down, there were candles hanging in the trees, a huge bonfire and s'mores - I was hooked! 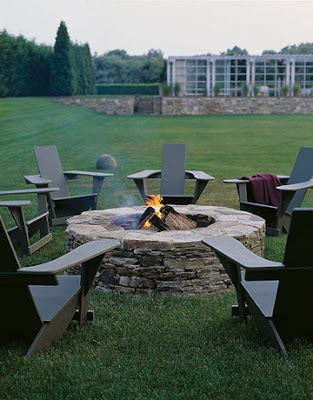 So many great ideas and I love those fire pits. Your little guy looks like he would have fun with my two boys! What a treat! I love s'mores! It's definitely my favorite part about a camp fire. 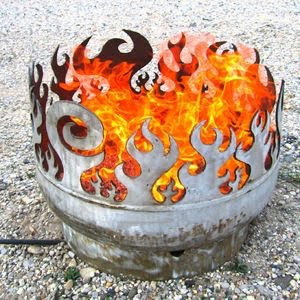 I'm very jealous of your fire pit! Here in Belgium we don't know the smores! Maybe we should try it out! Thank you for sharing! 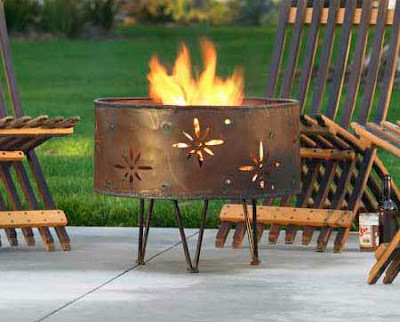 love the firepit images! Def. 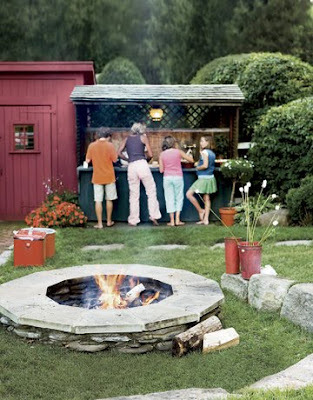 have to keep those in my inspiration files for when we build our very own next summer! 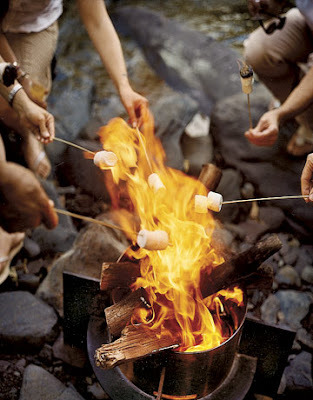 There is no better way to welcome fall with smores and an open fire! By the way, your home pix are just beautiful! I love how it all turned out! 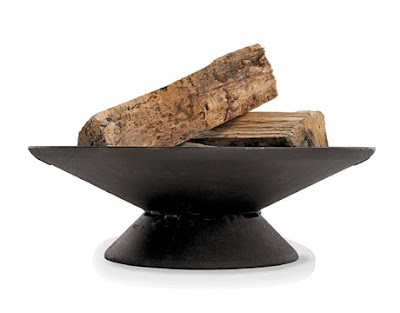 Every piece has a story...which is extra special! 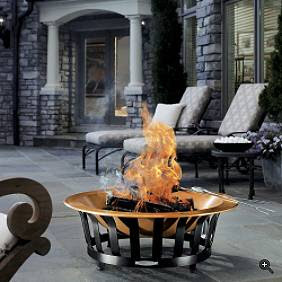 We just purchased our first fire pit this year and we love it!! 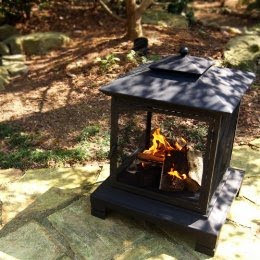 It is like taking a mini vacation in the backyard - and this time of year is perfect. By the way, love your blog. I just started this whole blogging thing, and I love it! 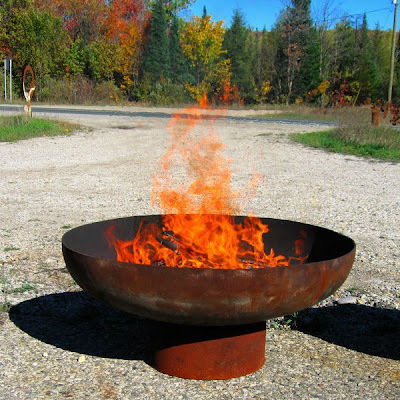 We have a fire pit that we haven't used in a few years—sort of like that iron pagoda style. Your post makes we want to go drag it out from behind the bushes. In a month. Too hot right now!